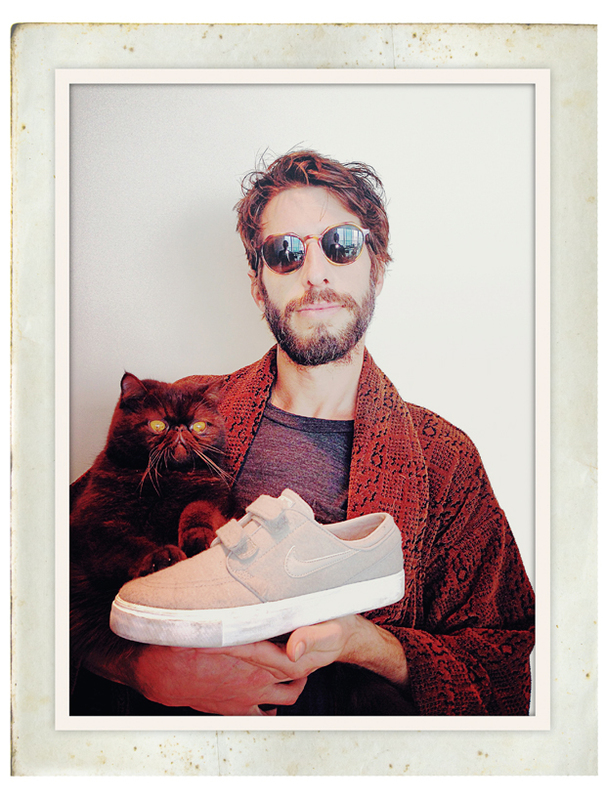 Stefan Janoski Interview – Sidewalk Mag Product Guide 2013 | F.G. Your shoe is one of the most popular skate shoes on the market right now. Was it surprising to see such a demand for it? Thanks! When I got the final sample of my shoe, I knew it was amazing, exactly what I wanted, and I haven’t worn another shoe since. I’m psyched that everyone loves it as much as I do! How involved were you with the design of the shoe? I was 100% involved. It took many samples, sketches and drawings, but the end result is the best shoe ever! You are rarely, if ever, seen not wearing your shoe. What did you skate before you began developing the Janoski? Was there any influence, Nike or otherwise, from certain shoes you’ve skated in the past? Since the first sample, I have only worn my shoe. Recently, when I’m chilling, I’ve worn the Project BA shoe. My influence for the Janoski was boat shoes and old school skate shoes. The Janoski was one of the first shoes from Nike that really succeeded with the ‘less is more’ approach. What aspects of skateboarding did you focus on when designing the shoe? I’ve always liked to skate in slim minimal shoes, so I can feel my board. It was important for me to have separation from feet to board and I wanted function over protection. Minimal amount of materials, flat toe, low cut, and Vulcanized were also important features for me. What was it about the ‘boat shoe’ aesthetic that appealed to you? I wanted to make sure that my shoe had a classic and timeless style. I used to wear boat shoes a lot, because they look cool and casual. Since the Janoski’s release there’s been an abundance of different colour ways and both a mid top and Velcro version. Do you prefer experimenting with a silhouette you really like instead of working on another shoe? Yeah, my shoe is great the way it is. It looks good on everyone. I think I got it right on the first try. Nike SB’s other models such as the Dunk and Blazer have a large following with ‘sneaker heads’. Shortly after release the Janoski did too. Were there any colour ways you really liked or thought stood out? There have been hundreds of colours man, they are all really cool so it’s hard, if not impossible to pick a favourite but I loooove Velcro!! The past is the future. And the future is Velcro. What should Stefan fans look out for from you in the near future? Habitat is almost done with a Thrasher online video, so there’s that. Also, lots of cool colourways and collaborations, music, art, writing…space exploration. Tags: Habitat Skateboards, Janoski, Nike, Nike SB, Sidewalk Magazine, Sidewalk Product Guide 2013, skateboarding, Stefan Janoski. Bookmark the permalink.